Proteins…what are proteins? What are proteins made of? Why do we need proteins? How much proteins do we need to consume? What are amino acids? When the amino acid chains have a molecule mass smaller than 10 000 daltons, they are considered “peptides”. For instance, glucagon and insulin are both peptides. There are also amino acids considered “free amino acids”, since they are not incorporated to any existing proteins; for instance, Ornithine and Citrulline are free amino acids. For all other amino acids, a synthesis is possible from glucose, thanks to the pyruvate (which is a metabolite found in several metabolic pathways), the oxaloacetate or the alpha-ketoglutarate. Nitrogen balance can be defined as nitrogen intake over nitrogen loss; and 90% of these losses occur via urine (up to 80% is urea) and around 10% via feces. Some minor losses occur via the sweat, the desquamation (tissues loss), or superficial body growths (like hairs or nails). The nitrogen balance is the evolution of the organic proteic mass, assuming this is not changing (via free amino acids and urea) during the period that is being measured (usually from 3 to 5 days) . The result could either be neutral, positive (growth) or negative (loss being superior to intakes). 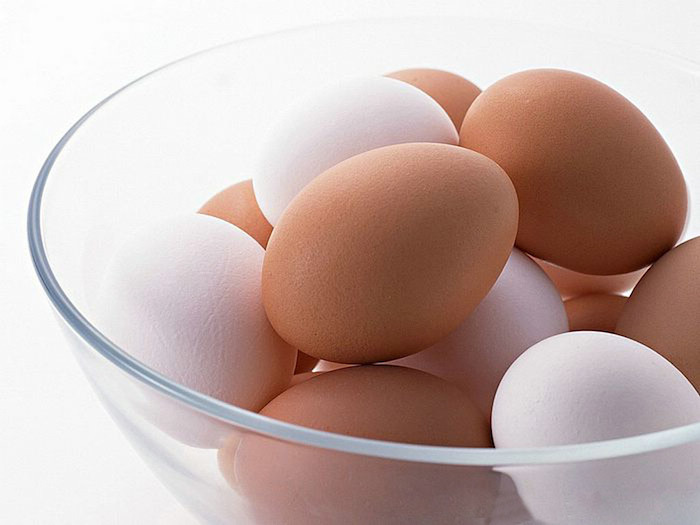 From 1100 to 1300 mg of high biological index proteins (eggs whites are used as a reference measure for this index) per pound ensures a neutral nitrogen balance. 0,75g of high-quality proteins per kilo of body-weight should allow everybody to meet the minimum requirements. (High-quality proteins include meat, dairies, milk, eggs, fishes) according to the WHO. Given the fact that most of us eat more than 100 g of pure protein a day, it might be easy to think most of the requirements are met…but it is indeed possible to be deficient in some essential amino acids, mainly because of the quality of the protein being eaten and the variable, specific needs during a given time. This coefficient depends on the nature of the protein, the amount of fibers, the preparation and the cooking, etc.. The limiting factor defines the inability for amino acids to synthesize proteins. It occurs when intakes are insufficient for one essential amino acid. The synthesis is blocked during this time. 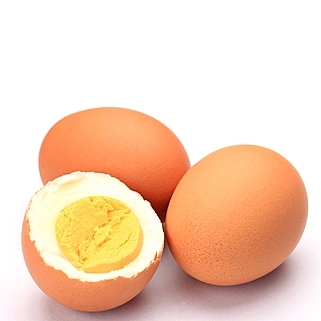 The chemical index is the percentage of an essential amino acid for a given gram compared to the same quantity of this specific amino acid in a gram of the egg albumin. For instance: 1g of albumin provides 70 mg of lysine, wheat flour provides 35 mg. The chemical index of the wheat flour is then 50 to lysine. In fact, when the chemical index is given, it is the most limiting amino acid index that is given. The PER is calculated by multiplying the digestibility coefficient by the chemical index. For instance, the PER of meat is around 70%, while the egg albumin has a PER of 87%. Mother’s milk PER is around 95% – but of course, proportions need to be taken in account for this index. For instance, flour has a PER of 70%, but bread is only 2,7% protein, while meat is up to 18% protein. Generally, proteins from natural sources of protein have a lower biological value than animal-based proteins : their digestibility is lower and the essential amino acids are provided in a lesser degree (especially Lysine, Methionine, Cysteine and Triptophan). Despite the 9 essential amino acids I presented, some can become essential – which means the endogenous synthesis is no longer possible. For instance, cysteine can be synthesized from methionine, but for the newborn or people suffering from hepatic insufficiency, such synthesis cannot occur (the same thing applies for thyrosine from phenylalanine). During cell growth periods, arginine needs increase, while for alcoholics or for people suffering from hepatic insufficiency, it is arginine, ornithine or citrulline for which synthesis cannot occur. During oxydating stress periods of inflammation, the cysteine needs increase quite a lot (it is cysteine that provides sulfur). Detoxification requires glycine, for instance when it is a hepatic one. Some amino acids play a specific metabolic role, but in regard to a diet, having them in quantity would likely unbalance the whole regimen. For this reason it is useless to increase a specific food consumption solely for the amino acid it provides. Mostly present in the muscles, blood plates and central nervous system. Taurine acts during the second phase of hepatic detoxification (conversion of the toxins from solid to hydro-solubles compounds), during calcium metabolism, and during the central nervous system development. Taurine acts as an antioxidant, and as a component for the glutamyl-taurine, a neuro-transmitter. Taurine turns to an essential amino acid when vitamin B6, cysteine and methionine are insufficient – it is already an essential amino acid for children. Arginine is converted to nitric oxide and citrulline (NO). NO plays a part in muscle relaxation (the vasodilatation) – thus Arginine is currently being studied to treat arterial hypertension. NO also acts as a mediator within the nervous and immune systems. These three amino acids are called “branched chain amino acids” as they directly promote protein synthesis. They play a major role in muscular development, and represent up to 33% of the amino acids used for muscle growth. Inside the mitochondrial cells, they can be totally oxidized but they can also be used for production energy. They penetrate the main nervous system with the same transport system the tryptophan, tyrosine, phenylalanine and methionine use. BCAAs, and especially leucine, are sometimes used for people suffering from anorexia or cancer. (Because high levels of tryptophan in the the central nervous system leads to a loss of appetite); and since the transportation pathway is the same, some sort of “competition” occurs between leucine and triptophane for the arrival within the central nervous system. Also known as the “nitrogen shuttle”, glutamine and alanine play a role on the nitrogen transportation for more than half of the amino acids. So this amino acid could turn to an essential one (remember that some become essential when the endogenous production is not sufficient), when infections occur, or during traumatic stress (or even when the intestines are damaged). Protein malnutrition can occur in several cases, such as bad malabsorption, proteic catabolism and deficiencies. … this gives us an average of 12 pounds of pure protein – and around 2 pounds of proteic nitrogen. If proteins are removed from the diet during 10 days, protein malnutrition could occur, while nothing presumes it. Such cases often occur during depression or anorexia episodes. During a total fasting period, the protein deficit is around 250g per day, but the first loss of protein is not from the muscles, but rather from the “fast” compartments (liver, organs, digestive conduit and lymphoid organs.) They all can lose around 50% of their protein content in 5 days. At this early stage, muscles are “safe” but auto-immune functions, hepatic activity and even protein synthesis are less efficient. There is a strong relation between the dietary intake of proteins and carbs. If an average consumption of 150g of carbs is maintained, gluco-dependant organ’s needs are covered – if not, neoglucogenesis is highly stimulated, which leads to the production of glycogen from protein breakdown: this is the catabolism. If a loss of more than 10% of the total weight quickly occurs (couple of days) , is it a sign of protein catabolism. The plasmatic albumin dosage from hepatic synthesis: under 36 g/l it is a moderated loss, but under 30 g/l, it is a severe loss. By measuring the plasmatic pre-albumin dosage: it is a moderated loss around 200 mg/l, and a severe one under 150 mg/l.